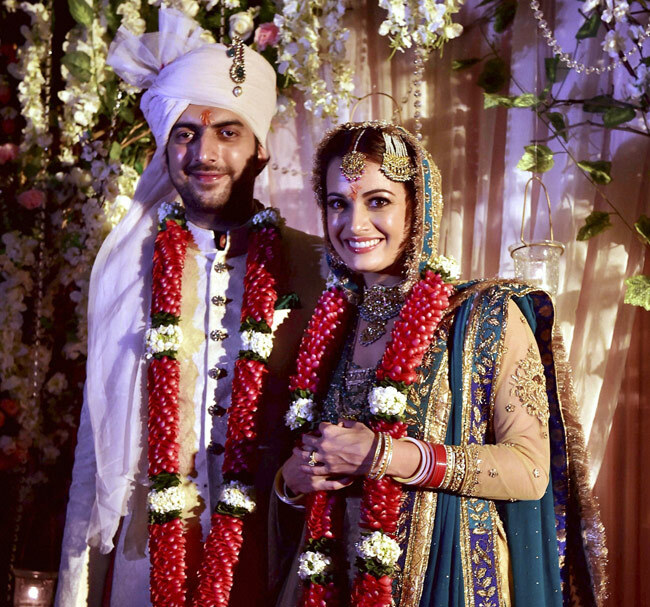 Former beauty queen and Bollywood actress Dia Mirza tied the knot with Sahil Sangha on October 18. While Dia opted for a beige and green sharara, Sahil Sangha sported a Raghavendra Rathore cream silk linen brocade achkan. Dia opted for an Arya Samaj wedding. The wedding took place at a farmhouse in Delhi. Sushmita Sen, Rajkumar Hirani and many other Bollywood celebrities attended the wedding.